Most library customers may have a total of 8 items checked out on their library card, 3 of which can be DVDs. Renew items, place holds, and see your account through the library’s online catalog. The majority of library items are checked out for a period of 14 days. DVDs have a check out period of 7 days. Fines are $.10 per item for each day overdue. 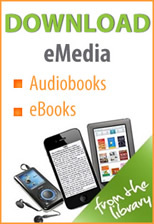 Audio books, DVDs, and children’s kits are $1.00 per item for each day overdue. Fines for items borrowed from another library are $.25 per day, per item. Late charges begin at the time library closes, on the due date, until the item is returned. Fines do not accumulate when the library is closed. 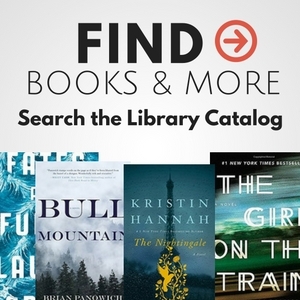 Renew materials in person, over the phone, or through the online catalog on WPL’s website. You can renew items twice – as long as there are no requests from others. Interlibrary loan material may be renewed only once for a period of 7 days. Library customers place holds in person, by telephone, or via your account on the library’s website. A customer will be contacted by phone or by email. Once contacted, a reserve item will be held for 3 days at the front desk. Charges for lost or damaged items include the replacement cost plus a $10.00 non-refundable processing fee. The library does not accept a replacement copy of a lost or damaged item in lieu of payment. Overdue charges for lost or damaged items are waived. The Book Drop is located on the west side of the building. Please do not put DVDs or audio books in the book drop.